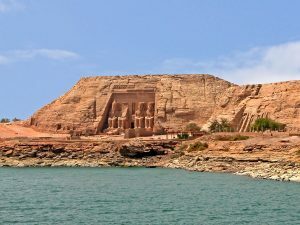 The monuments at Abu Simbel, Lake Nasser, were practically unknown until Johan Ludwig Burckhardt visited the site in 1813 when he saw the upper part of a temple facade almost covered by sand. Giovanni Battista Belzoni visited the site shortly afterwards in 1817 and discovered the entrance door. Since that time many adventurers have been struck by the awe-inspiring facade of the temple built by Rameses II around 3000 years ago with its giant colossal statues of the king sculpted from the mountain rock. 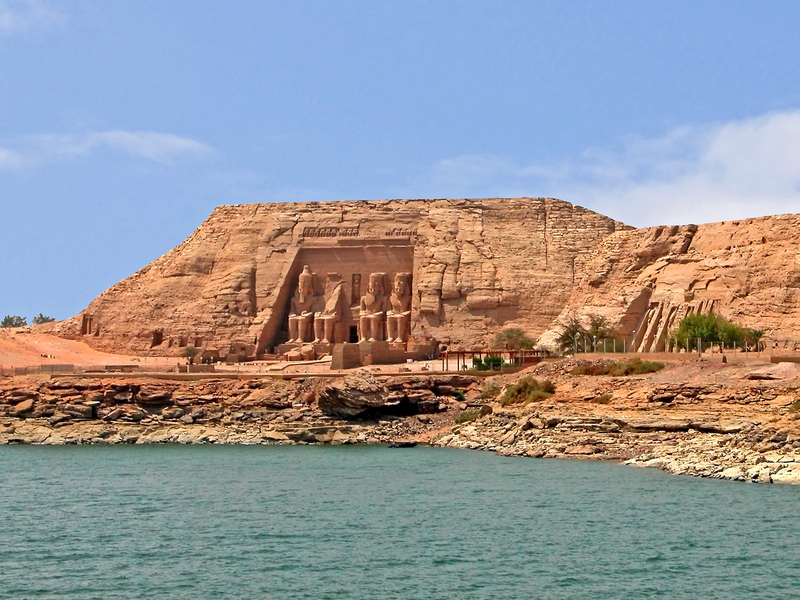 In the 1960s the new High Dam was built at Aswan which resulted in a build-up of water which threatened to engulf the monuments along its Nubian shores. In a dramatic race against time UNESCO began a US$40 million rescue operation in 1964, the like of which had never been seen before. In the incredible salvage operation the temples were dismantled and cut up into manageable-sized blocks, then painstakingly reconstructed 65m (213ft) higher than the original site, away from the dangers of the encroaching water. Inside a specially constructed mountain, two gigantic reinforced concrete domes protecting the rebuilt temples.